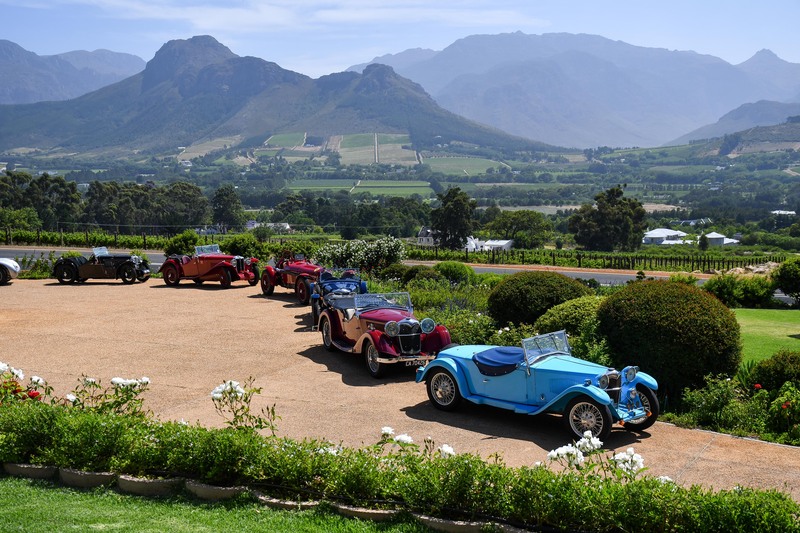 Brian Joss – The South African Historic Grand Prix Festival ended 10 days of pre-war immersion at Val de Vie Luxury Estate over the weekend to conclude an epic experience for owners and spectators alike. Over 150 of the country’s most special collector cars went on display on the Paarl estate’s polo field, the Grand Prix Party the culmination of a spectacular festival. The owners of 24 pre-war Grand Prix and sports cars were enjoyed their experience at the East London Grand Prix circuit and parade laps of the original Prince George circuit where their cars competed some 80 years ago. 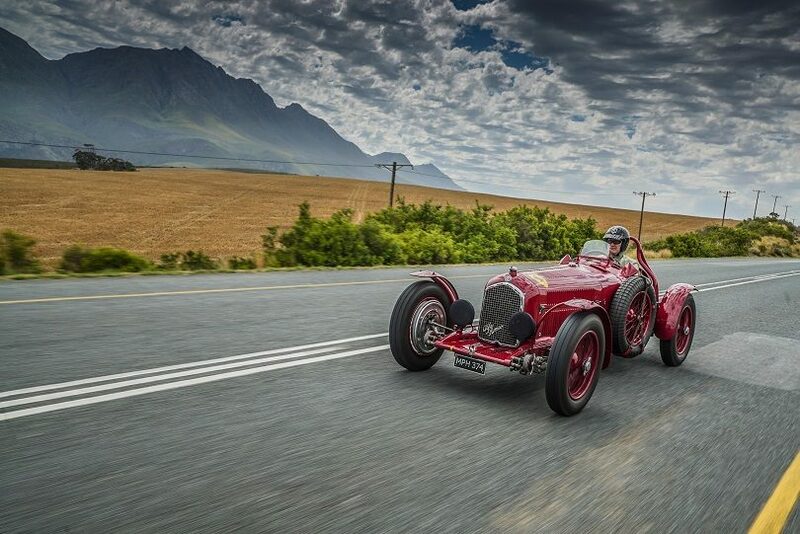 Testament to the quality of these vintage machines is that all the cars made it through 1 000km of South African scenery on the tour between the race meeting and the finishing point near Franschhoek, delighting their owners and surprised spectators along the route. Motorists who pulled up at one of petrol stations along the route were surprised to see a Grand Prix Alfa filling up. The drivers of these open-top single seaters and sportscars relished the South African driving experience, scenery, hospitality and cuisine. For many at the Grand Prix Garden Party, it was a chance to get up close and personal to these incredible cars. To have not one, but two ERAs back in South Africa is special enough, let alone the 1934-South African Grand Prix winning Maserati 8CM and a Scuderia Ferrari Alfa Romeo P3. The mix of Rileys, MGs, elegant Aston Martins, Bugattis and local specials completed a celebration of South African motorsport. CAPTION: Vintage: the Alfa competed in the pre-war Grand Prix in East London.